Convex Printing Manager, Gary Dillistone, has won a place in the prestigious Australia New Zealand Flexographic Technical Association (ANZFTA) Hall of Fame. Convex Printing Manager Gary Dillistone is the second Convex team member to be inducted into the prestigious Australia New Zealand Flexographic Technical Association (ANZFTA) Hall of Fame. The unexpected accolade was presented to Gary at the annual ANZFTA awards dinner in Melbourne on 24 October in recognition of his outstanding commitment and contribution to the New Zealand printing industry. 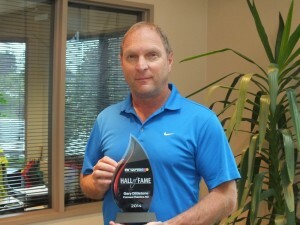 Gary qualified as a printer in 1981 and has been managing the printing department at Convex since 1985. Over that time Convex has developed a solid reputation for delivering consistently high quality flexographic printing and training. Gary has also been an active supporter of the New Zealand printing industry since the early 90s, attending conferences and organising workshops and forums. Gary is the second member of the Convex printing team to win one of the highest honours in the Australasian printing industry. Convex Assistant Print Manager Danny McNamara was inducted into the ANZFTA Hall of Fame in 2007 in recognition of his commitment to the training of flexographic printing apprentices. Five of the apprentices personally trained by Danny have won the flexographic printing apprentice of the year award and seven others were industry award finalists. Melbourne-based ANZFTA Secretariat, Tony Dalleore, says it is unusual for one company to have two people inducted into the Hall of Fame. 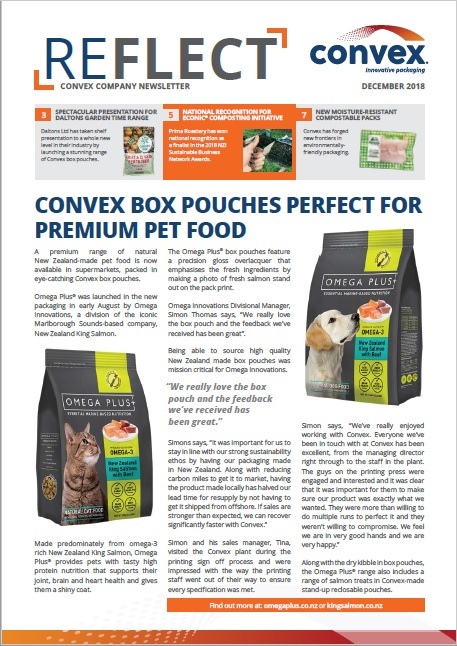 In May 2014 the high calibre of printing produced by Convex won two gold medals at the New Zealand Pride in Print Awards, bringing the company’s medal tally to eight Pride in Print Gold medals and numerous silver and highly commended awards in both New Zealand and Australia.